Black garnet color. Mature aromas of italian leather, wild mushrooms, berry coulis and cocoa nib, and balsamic kissed dark chocolate with a slightly chewy, vibrant, dry-yet-fruity medium-to-full body and a polished, complex, long fertile earth and raisin, lavender, tobacco and toasted coconut, and coffee crusted salami finish with earthy, dusty tannins and moderate oak flavor. A rich and decadent Malbec that must be a cousin of Bordeaux. 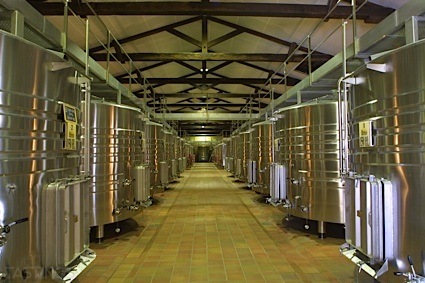 Bottom Line: A rich and decadent Malbec that must be a cousin of Bordeaux. 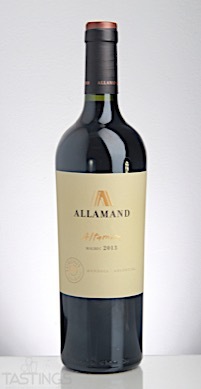 95 • Allamand 2013 Altamira, Malbec, Mendoza 14% (Argentina) $24.00. 85 • Allamand 2013 Pinot Noir, Uco Valley 13.5% (Argentina) $18.00. 88 • Allamand 2014 Malbec, Uco Valley 14% (Argentina) $14.00. 93 • Allamand 2013 H , Cabernet Sauvignon-Malbec, Mendoza 14.5% (Argentina) $44.00. 91 • Château Routas 2016 Rosé, Coteaux Varois de Provence 13.5% (France) $14.99. 90 • Château Routas 2017 Coteaux Varois en Provence 14% (France) $14.99. 89 • Luminis 2013 Perdriel, Malbec, Luján de Cuyo 14.2% (Argentina) $24.00. 88 • Luminis 2015 Malbec, Luján de Cuyo 14% (Argentina) $17.00. 91 • Schild Estate 2015 Shiraz, Barossa Valley 14.5% (Australia) $19.99. 89 • Schild Estate 2014 Cabernet Sauvignon, Barossa Valley 14.3% (Australia) $19.99. 94 • Schild Estate 2014 Liebich Vineyard Prämie , Shiraz, Barossa Valley 14.7% (Australia) $79.99. 93 • Schild Estate 2013 Single Vineyard Ben Schild Reserve, Shiraz, Barossa Valley 14.5% (Australia) $45.99. 90 • Schild Estate 2014 Edgar Schild Reserve Old Bush Vines, Grenache, Barossa Valley 14.9% (Australia) $45.99. 96 • Schild Estate 2013 Ancestor Vines Moorooroo, Shiraz, Barossa Valley 14.5% (Australia) $99.99. 85 • Stable Hill 2016 Palomino, Pinot Grigio, Adelaide Hills 12.5% (Australia) $16.99. 84 • Stable Hill 2016 The Unicorn, Sauvignon Blanc, Adelaide Hills 12% (Australia) $16.99. 83 • Stable Hill 2013 Little Villager, Pinot Noir, Adelaide Hills 13.5% (Australia) $17.99. Allamand 2013 Altamira, Malbec, Mendoza rating was calculated by tastings.com to be 95 points out of 100 on 8/9/2017. Please note that MSRP may have changed since the date of our review.